We at present have the following Heated Pools in Gervinghook (North Rhine-Westphalia) (North Rhine-Westphalia), but we are generally grateful for any corrections or contributions. Get in touch via our make contact with form. Please, use the make contact with information provided at every single pool profile. These are the Heated Pools in Gervinghook (North Rhine-Westphalia) (North Rhine-Westphalia) other users have reported. Are you a local and your pool is not listed? Contact us to ADD IT. It's no cost! The greatest Heated Pools in Gervinghook (North Rhine-Westphalia) (North Rhine-Westphalia) are located mainly in big cities but it's also frequent to find public pools in rural locations. The best pools to swim are undoubtedly indoor olympic pools. There are often discounts obtainable to senior citizen and small children. 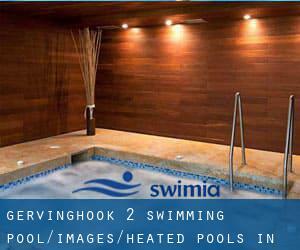 Discover by contacting your nearest pool in Gervinghook. Updated on 2019 Epelstraße 23 , Gummersbach , GERMANY (Postal Code: 51645). Among all of the activities offered by the center, in case you are interested in swimming you will take pleasure in 25 meters, 4 lanes, Indoors. Just in case you need to contact this Swimming Pool before dropping by, we only know the phone number. Updated on 2019 Ringstr. 4 , Enger , GERMANY (Postal Code: 32130). Among all the activities supplied by the center, when you are interested in swimming you are going to take pleasure in 25 meters x 10 meters, Indoors. Just in case you need to contact this Swimming Pool before dropping by, we only know the phone number. Updated on 2019 Bergenkamp 7 , Unna , GERMANY (Postal Code: 59425). This sports center gives 25 meters, Indoors. For this Swimming Pool, only phone number is number here. Updated on 2019 Grasacker 7 , Werdohl , GERMANY (Postal Code: 58791). Swimmers like you reported 25 meters, 4 lanes, Indoors. Unfortunately we do not have the email address of this Swimming Pool, but we can give you the phone number. Updated on 2019 Siegstraße 119 , Menden , Sankt Augustin , GERMANY (Postal Code: 53757). This sports center delivers 25 meters x 10 meters, Indoors. For this Swimming Pool, only phone number is number here. Updated on 2019 Am Stadion 3 , Bergkamen , GERMANY (Postal Code: 59192). Among all the activities offered by the center, in case you are interested in swimming you will delight in 25 meters x 12.5 meters, 4 lanes, 0.9 meters - 3.8 meters depth, 0.9 meters - 3.8 meters depth, Indoors. Just in case you want to make contact with this Swimming Pool prior to dropping by, we only know the phone number. Updated on 2019 Seeuferstraße 26 , Iserlohn , GERMANY (Postal Code: 58636). Swimmers like you reported 25 meters x 33-1/3 meters, 2 meters - 4 meters depth, 2 meters - 4 meters depth, Indoors. Phone number and e-mail address are number for this Swimming Pool. Updated on 2019 Herner Straße 160 , Recklinghausen , GERMANY (Postal Code: 45657). Swimmers like you reported 25 meters, 6 lanes, 1.2 meters -3.7 meters depth, 1.2 meters -3.7 meters depth, Indoors. Unfortunately we do not have the email address of this Swimming Pool, but we can give you the phone number. Updated on 2019 Bernhard-Weiss-Platz 10 , Hilchenbach , GERMANY (Postal Code: 57271). This sports center gives 25 meters x 10 meters, 4 lanes, 0.9 meters - 3.9 meters depth, 0.9 meters - 3.9 meters depth, Indoors. Contact information for this Swimming Pool including phone number and email address are number. Updated on 2019 Paul-Baumann-Straße , Marl , GERMANY (Postal Code: 45772). Swimmers like you reported 25 meters, 5 lanes, Indoors. Unfortunately we do not have the email address of this Swimming Pool, but we can provide you with the phone number. Updated on 2019 Zum Sportzentrum 9 , Hueckeswagen , GERMANY (Postal Code: 42499). This sports center offers 25 meters x 10 meters, 4 lanes, 1.3 meters - 3.8 meters depth, 1.3 meters - 3.8 meters depth, Indoors. Contact information for this Swimming Pool such as phone number and email address are number.